A minimalistic design with a light expression that creates a striking profile. Clean the table with a damp cloth. Always wipe with a dry cloth afterwards. For linoleum versions, it is recommended to use a linoleum polish on the surface at least 2-3 times a year. 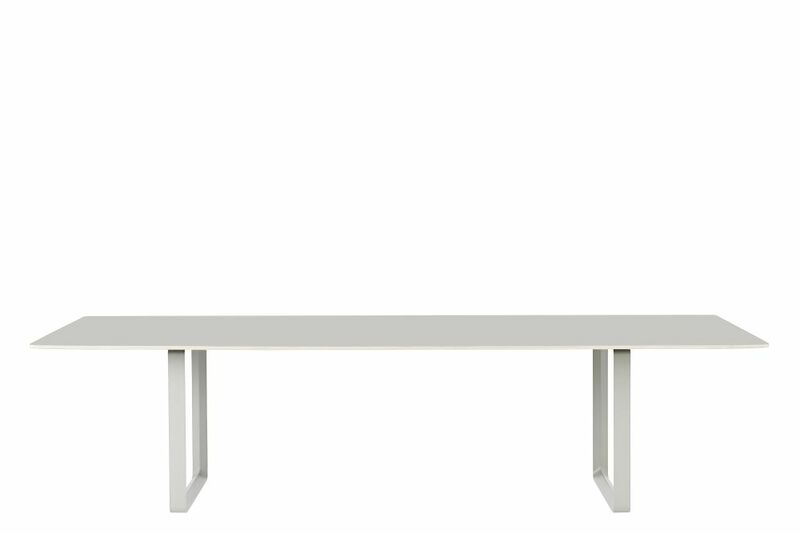 The almost reduced design is balanced with fine details in the plywood layered table top and form of the angular frame. The size can fit 10-12 people – 5 regular chairs on each side. The slender table top features plywood edges, shaped in an elegant curve that folds underneath the table at a slight angle. The table’s legs are dimensioned according to the table’s name, 70 cm by 70 cm. The legs have a unique triangular shape on the inside with a clean, flat profile on the outside.